If you’ve been asking yourself “what’s the best chiropractor near me?” or searching for the best chiropractors of Columbus online, congratulations! You’ve struck gold with Midwest Chiropractic Center. Our chiropractors take a comprehensive, hands-on approach to chiropractic treatment, combining traditional medicine with Eastern medicine practices. During your initial consultation and examination, our chiropractor can make a diagnosis identifying the cause(s) of your discomfort, which is used in determining your personalized treatment plan. Your chiropractor can utilize innovative technologies to test and monitor your body for recommending different therapies and treatments as part of your chiropractic care. Your chiropractic treatments will address specific issues and symptoms found during the exam and any others that present themselves thereafter. As a Top Rated Local® chiropractor in Columbus, Ohio, Midwest Chiropractic Center strives to help everyone in our community to feel better and move better, so they can live happier, healthier lives. Reach out to us today to learn more about the types of chiropractic care, physical therapy, and massage therapy we offer. You can also get our New Patient Special for a limited time! Chiropractic treatments are recognized in the health profession as one of the safest, most effective treatments for a wide array of physical disorders and discomforts, including neck and back pain, extremity pain, migraines and headaches, and joint pain. Chiropractic care is a safe, noninvasive alternative to surgery capable of providing long-lasting relief for different types of pain. This makes chiropractic treatment also a safe alternative to the use of prescription drugs, which in most cases only temporarily mask your pain symptoms. In addition to managing pain, chiropractic care improves posture, nerve function, and mobility. Keeping the spine aligned allows the communication pathways between the brain, spinal cord, and nerves to transmit without interruptions, ultimately improving the overall function of the body. Therefore, receiving regular chiropractic care can improve your overall wellbeing while helping you heal and recover quicker and more efficiently from injuries and pain. Because chiropractic care focuses on a natural approach to healing and pain relief, it stimulates the body’s natural ability to heal and recover. By realigning the spine, the components of the central nervous system — which regulates all of the functions in the body — are better able to communicate. This is essential for healing because a healthy functioning nervous system can strengthen and improve the function of your immune system and cell production, both of which are essential for fighting infections, injuries, and restoring/producing tissue. Circulation is also improved which replenishes healthy and damaged tissues with oxygen and nutrients to stay healthy, prevent injury, and recover from tissue damage. Inflammation is the body’s natural response to a foreign entity such as an infection or an injury in the body. 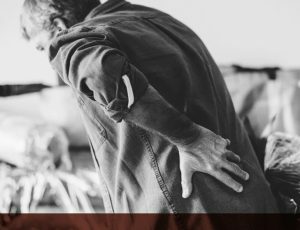 Unfortunately, inflammation is one of the main causes of pain, as inflamed muscles and soft tissues can irritate nerves, joints, and cause tension in the muscles and joints. Your chiropractor can manipulate the tissues and joints in your body to improve circulation to reduce inflammation which can reduce neck, back, and lower back pain, alleviate muscle tension and spasms, and relieve joint pain. A healthy spine plays a key role in supporting your body’s overall health and wellness. When your spine is misaligned, it can have an impact on more than just your neck and back. This is because the spine and central nervous system regulate different functions, movements, and processes in the body. 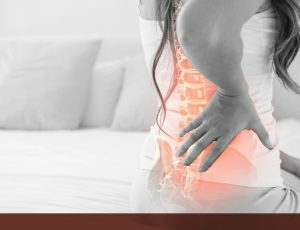 This means when a spine is out of alignment, this can lead to a multitude of other areas of the body being inflicted with pain, numbness, or restricted movement due to pinched nerves. Chiropractic adjustments combine manual therapies, stretching, the use of different adjusting techniques, and may involve the implementation of additional adjusting tools, hot and cold therapy, infrared ultrasound, muscle stimulation, and other modalities. Using their hands as their main tool, chiropractors manually adjust the joints in the body, particularly in the spine, to their proper position. Chiropractic medicine can restore healthy nerve function, joint mobility, movement, and communication in the central nervous system, which may have been impaired by an injury, stress, or damage to the supportive tissue. By maintaining good spinal health, you can not only prevent future neck and back pain, but you can also maintain your body’s overall health so you can stay active. Chiropractic adjustments are a safe and effective way to manage pain and improve your overall health and wellness.